As more and more mothers of even very young children have returned to the workplace, not only the more general issue of child care, but concern about lack of time spent with children has loomed large. The idea of quality time has been given much attention as a possible answer, or solution, to this problem. It has been proposed that it is the quality of time spent with a child, rather than the quantity, that is important. It seems that too often we try to resolve conflicts in life between ideas or between people, by proving that one idea is right the other is wrong, or that one is better than the other. So it has been in the discussion about quality vs. quantity time. 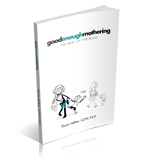 In this instance it may be part of the unfortunate defensiveness mothers still feel about the need or decision to work outside of the home. They reassure themselves, or are reassured by various articles on the subject, that it is quality time that counts. Perhaps suggestions like these are useful in getting people to think out of the box. But many parents tell me that mornings are the most difficult time, with everyone feeling a great deal of pressure trying to get themselves and their children ready for the day ahead. It is true that in many of these situations the pressure could be diminished by getting started somewhat earlier. Hard to do, however, for many parents who are sleep deprived, and even for children who often don’t wake up that early as they get older. The more important question to ask might be what do we mean by quality time? Numerous articles on the subject, as does this one, seem to suggest setting aside a designated block of time as “mommy-and-me” time. While this can certainly be useful, it would seem that any time one spends with a child has the potential to be quality time. The key is in the word “with”. One can be in the presence of a child, or taking care of a child all day without being “with” the child. Being “with” a child basically means being tuned into a child’s interests or concerns instead of one’s own. No one does, or can, do that twenty-four/seven. But it is truly hearing a child that creates a bond in the relationship. We often question children about why they did something or what they did when we weren’t with them. Parents joke about the standard exchange, “Where did you go? Out. What did you do? Nothing.” The equivalent takes place even when children are very young. Children don’t do well with questions, but if we start the conversation with events or ideas of our own, they often respond very well. If you tell about what you did, or what you saw, you can often hear much more about what the child did or saw than if you ask a lot of questions. Also, if we are really tuned in we will hear what may seem like a random comment or question that actually reveals much about something that is going on in a child’s mind, or is a source of worry for the child. These kinds of exchanges do not require setting aside a specific block of time, nor do they happen because we have set aside that particular time for the child. Basically, the problem is not one of quality vs. quantity time, but of the challenges women face in trying to find the balance between the needs of their children and their own needs, both personal and professional, as workers and as mothers. This is a daily challenge because there is no perfect or even satisfying solution to the problem. But if we can spend whatever time we do have being “with” our children, despite the many chores and other demands we face, we can turn any time into quality time.